"Sengoku-do" is an online shopping site specializing in the musha-ningyo, the Japanese samurai dolls . Sengoku-do presents these dolls to people all over the world. Unlike a typical shopping mall retail outlet, all the goods here are originally designed by ourselves and handmade by the skilled doll craftsmen in the very traditional way of doll-making. Therefore, we sell them with responsibility and pride with our own brand. We are adjacent to the town of Iwatsuki, which has the highest production output of dolls in Japan and the town is literally called "the town of the doll". We guarantee our production system, which is one of consistency and high quality through our skilled craftsmen. We are also working actively on the development of unique new dolls which are not conventional and we recommend each of them with confidence. With the cooperation of doll and yoroi armor manufacturers, we have at last built up a stable system to meet your demand. Since we have reduced manufacturing costs, we can now offer more reasonable prices for our products. Enjoy these high quality samurai dolls that, even in Japan, are difficult to find. 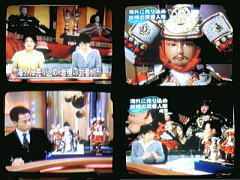 We are proud to announce that , in June, 2005, our sites "Sengoku-do" and "Zen-shop.net" were introduced in the following TV programs of NHK, Japan Broadcasting Corporation. as a unique business combining the Internet and the Japanese traditional crafts. Q: Do you accept orders from overseas? A: Yes, of course. "Sengoku-do" is accepting orders from all over the world. However, there are some areas outside of which EMS (International Express Mailing Service) cannot deliver. Be sure to let us know the address or the name of the country and the city in case of order or inquiry. There are also some goods unable to be delivered to some areas due to EMS regulations　of the size of a parcel. 2. Press the e-mail key at the top/bottom index, then your e-mail page will open. 5. In a few days, you will receive an e-mail referring to the total amount due including the shipping charge, the payment method and other necessary details. If you would like to know more about each method, please see below. Q: Can I make payment by a credit card? A: Yes. You can pay by your own credit card/Visa, MasterCard, AMERICAN EXPRESS, JCB, Diners Club International or their tied-up card. Your credit card payment procedure will be done at an e-cash site, which is protected by a secure (SSL by VeriSign) transaction. Since our register page is protected by a secure transaction, your credit card information cannot be read by anyone on the Internet. Therefore, please never send your important credit card information directly to us by email or fax. Your credit card payment procedure must be done only at the said e-cash register page. Q: What is an international postal money order? A: International postal money order service is used to send money to individuals or firms in countries whose Postal Service has entered into international agreements for the exchange of postal money orders. International Postal Money Orders can be purchased at any local post office. Orders from overseas must be paid by International Postal Money Order. The local postal money order, which is only valid in the issuing countries, will not be accepted. Q: How do I know the price in the currency of our country? A: All prices are shown in the Japanese currency, Yen (JPY). You may have a general idea, by clicking right for the true value in the currency desired. Q: Do you have some catalog or leaflet of your items? A: No. 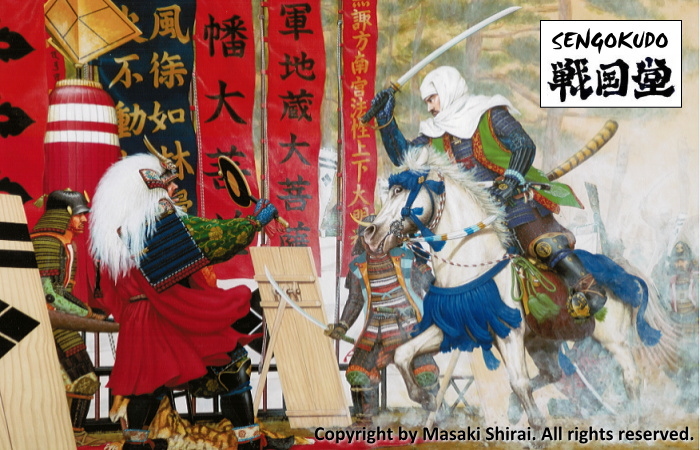 This website "Sengoku-do" is the only one tool we can show you all of our items. This is mainly because we think that the website on the Internet is the best tool to let the customers know the newest information both promptly and continually, different from printings. Actually, we frequently update the contents including the new items. Furthermore, we try to reduce the cost as much as possible in order to offer you lower prices. "The best quality at the least price" is one of our basic policies. Copyright (C) by INTER-LAB CORPORATION. All rights reserved.